My name is M. Zakaria called M (em) was born in Bawak Nao, Sembalun East Lombok, precisely at the foot of Mount Rinjani, which is now the official main route and the nearest track to hike to Mount Rinjani. 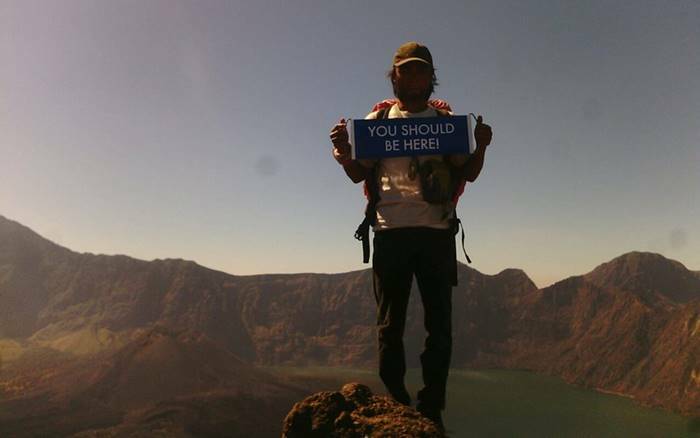 As a Sembalun people my hobby is adventurer and my main jobs of since 2005 are as a guide to Mount Rinjani, which I do with pleasure because i can make friends with people from all over the world and at the same time earning income a decent enough. Having had enough experience as a guide, now i own new business opened in 2016 a travel agent named Em Adventure located in the main route to Mount Rinjani in Bawak Nao, Sembalun Village, East Lombok Indonesia. The main purpose of setting up this effort in addition to earn income more than just a guide but to the regeneration the guides in our village, because it’s been a lot of young guides to replace me as a guide, and of course now I prefer to concentrate on looking for the climbers from all over the world came to Mount Rinjani through our travel agency. As travel agency we will strive to always preserve nature of Mount Rinjani, which is a tourist attraction that gives us enough income and will always maintain the quality of service we provide to the climbers were satisfied to enjoy with the natural beauty of Mount Rinjani and alaways do the climb with safety standards mountaineering to all our client of the climber.